Today is not my day! Take it from me, never, EVER combine crazy traffic and cranky kids! But there is more … a flat tyre! If only I had listened to my car mechanic. According to him, car safety is the top priority. Before you start your car, go around the vehicle; check the tyres and lights among other things. Well, mums, I don’t want you to have a bad day too, so here are some tips for how to make sure your car is road-safe BEFORE you pile it with kids and supplies and then get stuck on the side of a dual carriageway. 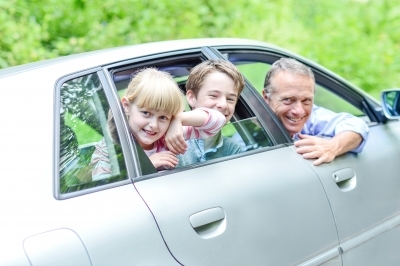 Before you take a road trip with your beautiful kids, make sure you check the car. I don’t envy women desperately waving down Good Samaritans because of a car breakdown and they don’t know what to do. If you know basic car maintenance, you don’t need to worry. Auto mechanic or not, you need to know when your car needs some tweaking. Check your drive belt every three months. The what? I hear you say! It’s easier than it sounds, I promise you. Open the car hood; do you see a big belt somewhere in the front part? Yes, that’s the drive belt, or the fan belt. It’s an important car part and it should never have a cut or a crack. Check it carefully. If you find a crack or a cut, go to the nearest garage and ask them to replace it. To avoid overheating, put some water in your car radiator every two weeks or so. Changing the car oil is also very important. Check your car manual for specific dates when to change oil. Warning: this part’s a bit messy! 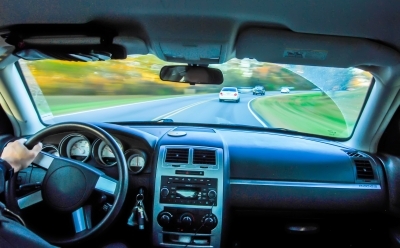 To avoid any hassle while driving around, make sure to tune-up your car. This is done yearly or every time you reach the 30,000 mile mark. You don’t want you and your kids stranded in the middle of nowhere during unholy hours. Moreover, towing a car is very expensive! Remember, you are a Supermum! Learn how to jump start a car too. Why not? Sometimes we forget to turn off the car radio or lights, and doing so will drain your car battery. What if you have an emergency the following day and the battery is dead? It’s easy to jump start a vehicle; you don’t need Einstein to do it for you. Check some websites for tutorials. Finally, know how to change a flat tyre! Watch some tutorial videos so you know exactly what to do. Have proper tools like pliers, screw drivers, socket and ratchet set, wrench and a jack. Car tyres don’t run forever. One day you’ll need to fix a flat tyre or buy new ones. Go to Point S online, if you’re looking for a reliable tyre dealer. That’s it! Five simple things you need to do to make sure your car is in good condition. Being a mum is challenging enough – the last thing we need is a car breakdown in the middle of the road with cranky kids! Drive safely and stress-free.